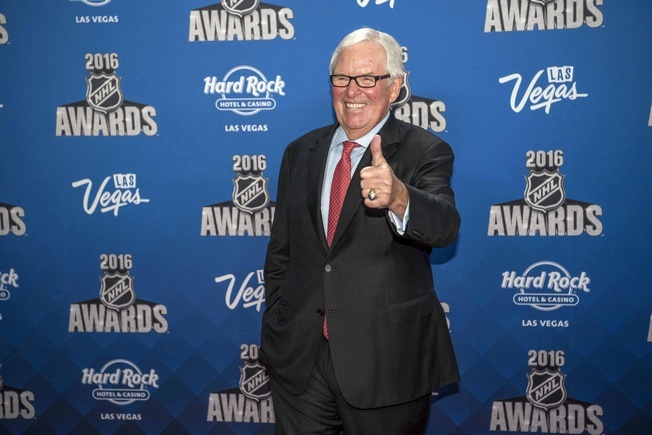 Bill Foley, owner of the league’s newest franchise, said on Wednesday that he had hoped to speed up the process to make things official, but noted that the paperwork is holding him back. Vegas general manager George McPhee will attend the March 6-8 general manager meetings once the paperwork is in and he’ll be able to make player-related transactions around that time, but the paperwork process means things will fall a few days over the line with respect to the March 1 deadline. Had the Vegas Golden Knights been in the mix as of the trade deadline, teams would have received things like expansion draft guarantees through trade chips. This could’ve made impacts on other transactions or non-transactions. But now, Vegas won’t be a player at the trade deadline and it’ll be business as usual. The Golden Knights wouldn’t have been able to acquire active players from 2016-2017 anyway – even players on injured reserve lists. They’ll have to wait for the expansion draft to start padding the roster properly, but future considerations are always a possibility. One example of this is that Vegas could’ve acquired a draft pick or prospect in exchange for a stated agreement not to select a certain player come the expansion draft. That kind of “unofficial” way for a team to protect more players has happened before. San Jose made deals with both Columbus and Minnesota in exchange for unofficially protecting goalie Evgeni Nabokov. “George is having informal calls, informal talks with various GMs. Other teams want to do more than we want to do,” Foley said. When Foley gets the paperwork done and everything’s official, the Golden Knights will be able to snag prospects from the junior levels and take a look at players on loan playing overseas. They’ll also be able to sign undrafted CHL and NCAA free agents.